With over 30 years of experience in buying and selling properties on a daily basis, there’s no better place to come for all of your Estate Agency needs than AS Wagner. 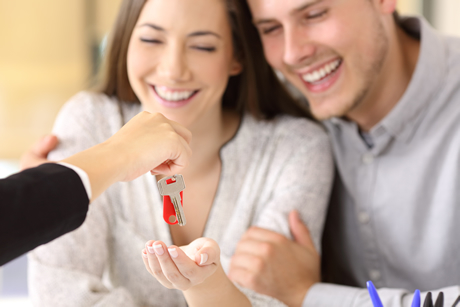 We provide a high quality, personal experience where we offer friendly, informative advice to help you carry out your sale, or purchase, with confidence. We offer clients an all-in-one service, looking after everything ranging from the marketing efforts to the legal proceedings. Our team of professional experts utilise a variety of tools to market properties on some of the country’s leading property centres to help you enter the property ladder with an instant impact. With access to the likes of ESPC, we can deliver high quality result by advertising your property across a variety of mediums. When it comes to purchasing a property it’s crucial to utilise the services of a professional Estate Agency such as AS Wagner. Presenting an offer can be a stressful experience and many buyers often overvalue a property, paying over the odds to meet a seller’s valuation as opposed to the true valuation. With Sophie Wagner’s years of experience in property purchasing we’re here to offer friendly advice on how to prepare your first offer, as well as how to proceed through the negotiations with assured confidence in achieving the desired outcome.